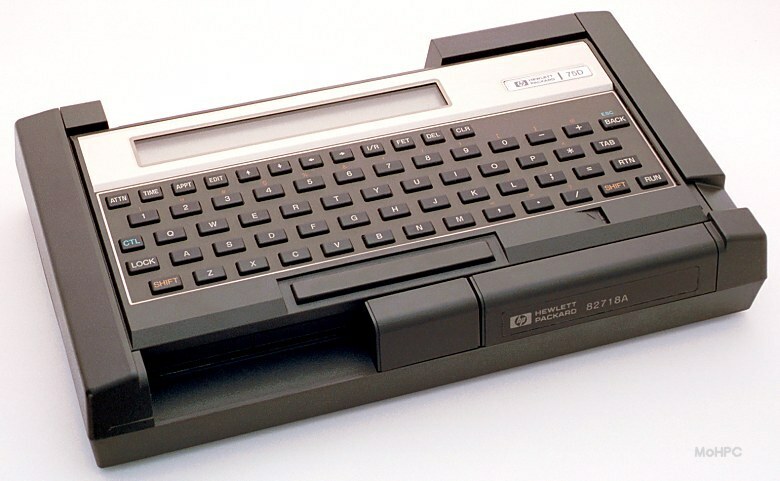 The HP-75C was HP's first portable computer. It ran BASIC, and came with 16K of RAM with an expansion port for additional RAM and 48K of ROM with 3 ROM expansion ports. 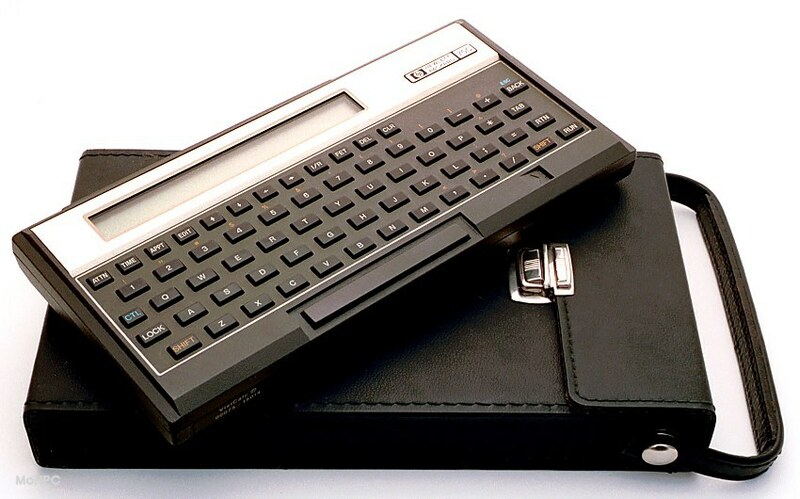 It had a keyboard that was large enough to touch type on (about 95% of full size), a very readable one line alpha display and an HP-IL port that allowed it to be attached to almost anything. The HP-75 filing system allowed multiple files to be stored in ROM, RAM, magnetic cards or tape drives. All of the basic file system commands like copy and rename were included. 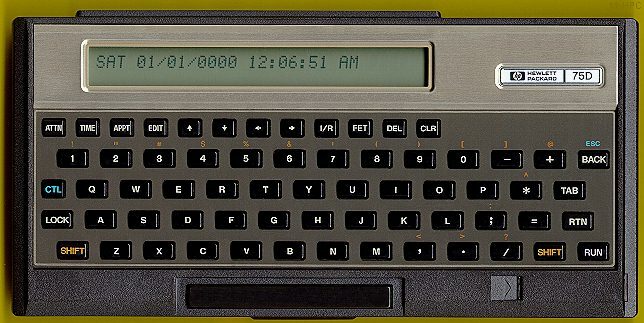 In addition to BASIC, the HP-75 had an appointment mode with alarms and could store/edit text files. As such, the HP-75 could also be considered one of the earliest organizers. The alarms even came in 10 styles including: "A short chirp", "A series of high, insistent tones" and "A series of eight siren sounds". 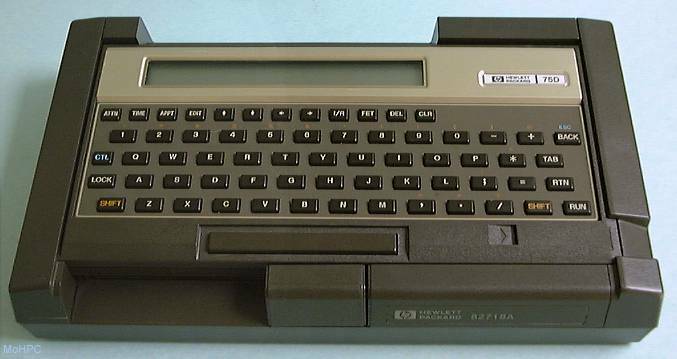 The HP-75 used a card reader with hand pulled cards rather than the motor driven cards the earlier calculators. These cards were preformatted with clocking information to allow a pretty wide variation in "pull speeds". (Although mine has become rather picky in its old age.) 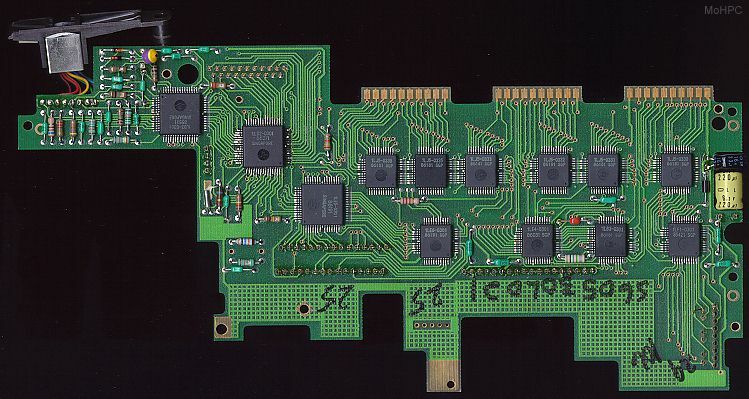 Each card had two tracks, each track had 650 bytes. 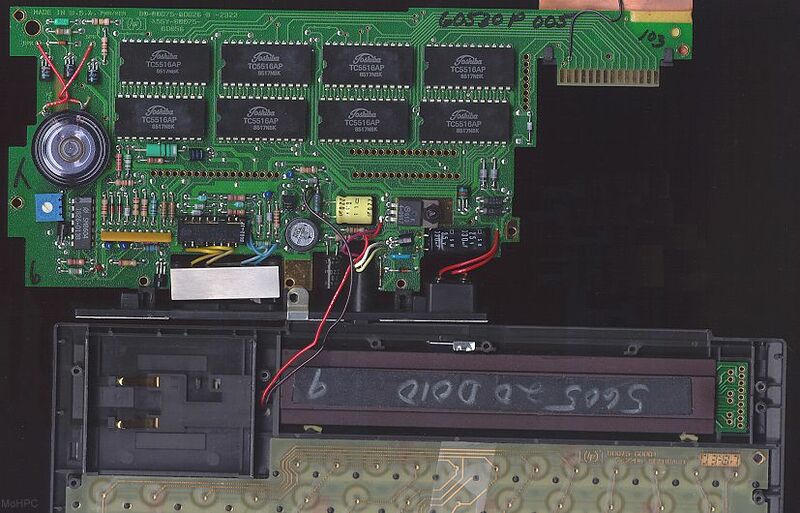 A lot of data compared to the HP-65 but rather small compared to the HP-75s memory space. Options included a CRT, small thermal and large impact printers, a modem, a plotter, a tape drive and just about anything else that could be connected to HP-IL. 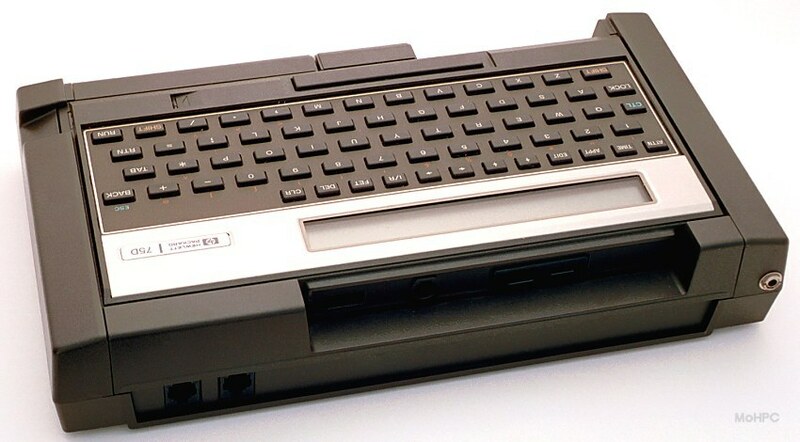 Early in the introduction, the manual contains the all important phrase "You can't damage the HP-75 by pressing its keys." Like most modern high-end portable HPs, the documentation is much larger than the instrument itself. The HP-75D added a wand and wand port. When used with the Bar Code ROM, the computer could scan CODE11, CODE39, UPC, and EAN codes. This made the computer useful for inventory control. I recently bought my first HP-75 (used) in a surplus store for about 1% of its original retail price. When I asked if anyone knew how to use the machine, one of its developers - still at HP - provided me with a complete set of documentation for the computer itself and all the peripherals and ROM modules that happened to be supplied with it. (About 6 pounds of documentation.) He even offered to drop it off at my home (about a hundred miles from HP Corvallis) to save shipping time. Thanks Raan!. The beeper can be seen in the upper left.